Brink closes its checkered launch week with news of free DLC and promises it's fixing the crippling lag in its multiplayer. With an update now live, Brink developer Splash Damage is introducing a configuration change for Xbox 360 users (which will also be available for the PS3 when PlayStation Network comes back) that limits Campaign matchmaking to eight human players (default is up to 16). The config change will also be available in most Freeplay modes. 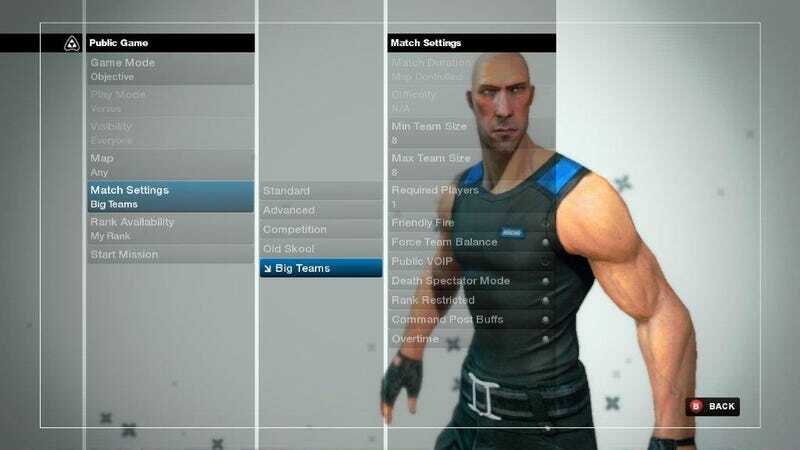 Those who haven't had lag problems can find the 8 vs. 8 setup in something called the "Big Teams" configuration in Freeplay, and also via custom settings in Private matches. As a token of appreciation for those who've offered feedback on Brink and stuck by it through this first week, the game's first DLC extension will be free. Splash Damage says it's planned for a June release and will offer "additional maps and new content for players."